Just the tent is as it says, you hire the tent from us and you can furnish it to suit your own tastes and requirements. We will arrange to set up the hired Bell Tent or Tipi at your chosen location so that it is ready for your arrival, all that you need to do is then make the magical structure comfy for your stay. Please do contact us to discuss your requirements and we will ensure that we work to your chosen specification........we will do everything to accommodate you. All the trimmings has everything you would require to make your stay a completely magical experience. 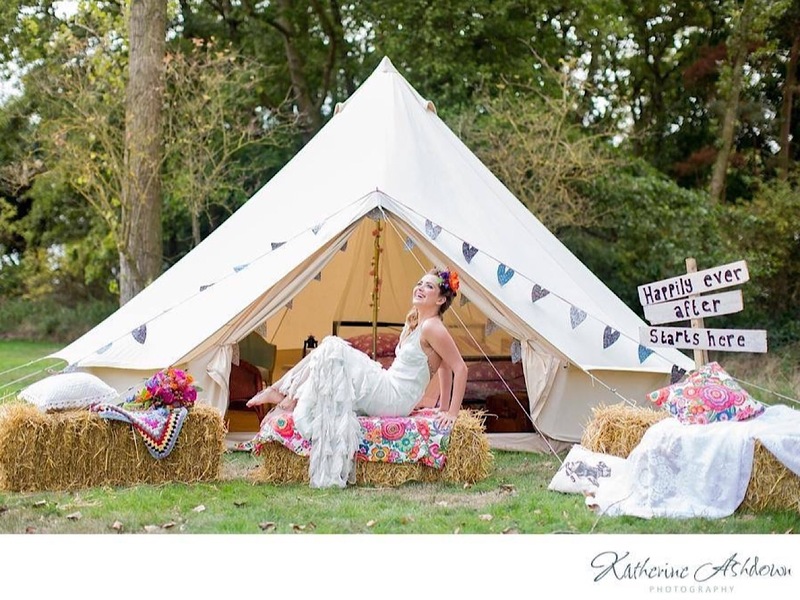 We will arrange to take your chosen Bell Tent or Tipi to the campsite or other location of your choice. Our Special Honeymoon Suites come with All The Trimmings plus a full size bed frame and mattress to give you a wonderful nights sleep after your big event! It also includes some other features to create a wonderful place to stay. At your event will work closely with you to arrange your own VIP camping area at your Music Festival, Volkswagen Show, Wedding or any other Private Party that you have in mind. 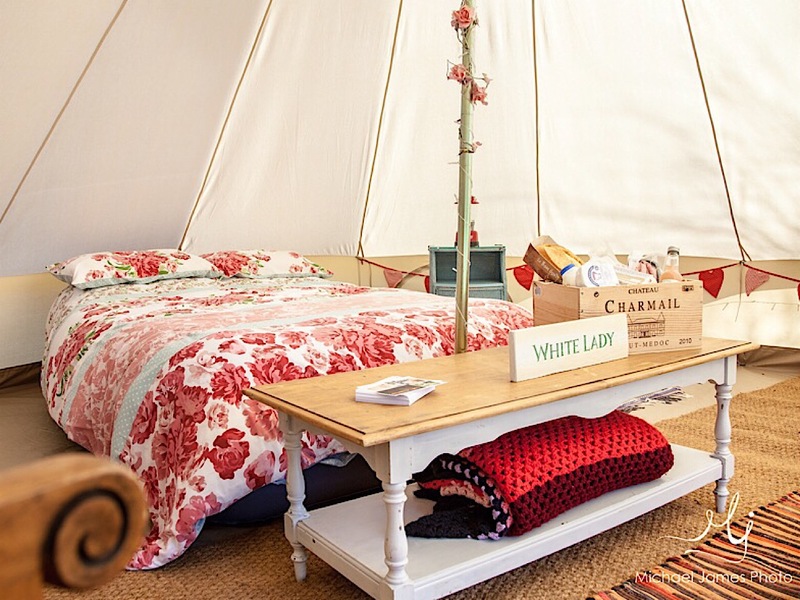 We are able to supply a large number of fully furnished Bell Tents and Tipis to a standard to give you a 'Magical' experience. This works very well when you are looking to accommodate your wedding guests on site - We can create the ultimate Festival themed wedding! *We can offer extra beds etc if you require as our Bell Tents and Tipis will sleep a maximum of 6 people.